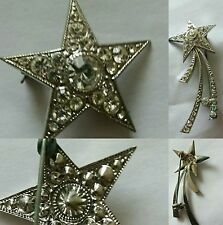 Just one brooch in lot! ♥STYLE or PERIOD : Where I have indicated 'style' that refers to the design of the piece, shape, colour, use of materials etc. 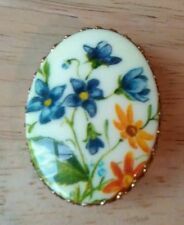 Trifari brooch, large white flower, signed. Lovely condition. No warranties implied or given. 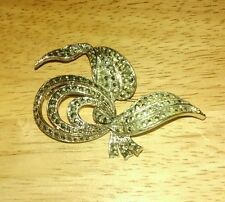 A STUNNING PURE QUALITY BROOCH WHICH SCREAMS ART DECO - IT IS SIGNED ON THE REVERSE WITH A SERIES OF LETTERS AND NUMBERS. This stylish brooch is tear drop shaped with slinky chains hanging from the curl. 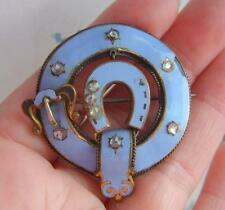 Lge Vintage Czech Filigree & Mirror-Back Paste, Gothic Design Brooch -Edwardian. Finally the pin (albeit rather loose) fastens securely via a C-clasp (in addition a safety chain is attached). ♥STYLE or PERIOD : Where I have indicated 'style' that refers to the design of the piece, shape, colour, use of materials etc. condition - very good, would benefit from a light surface polish. 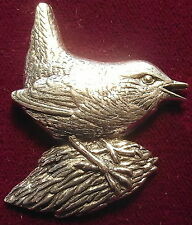 Brooches are in Very Good condition. Earrings have a small piece of scroll work missing around the edge. (see photographs). Will date to the 1950's. A BEAUTIFUL ITEM THAT WOULD LOOK STUNNING ON ANY OCCASION, TO ADD TO A COLLECTION OR GIVE TO THAT SPECIAL PERSON AS A GIFT. PERIOD/STYLE:ART DECO STYLE. MAKE:UNSIGNED BUT IN A SPHINX STYLE. DISPLAY BOX: NOT INCLUDED. An attractive piece of jewellery, especially for those appreciative of elephants. PERIOD/STYLE:ART DECO CZECH WITH C CLASP TO THE REAR. A BEAUTIFUL ITEM THAT WOULD LOOK STUNNING ON ANY OCCASION, TO ADD TO A COLLECTION OR GIVE TO THAT SPECIAL PERSON AS A GIFT. DISPLAY BOX: NOT INCLUDED. ADD INSTANT IMPACT, SPARKLE, BEAUTIFUL STYLE & ELEGANCE TO ANY OUTFIT. A BEAUTIFUL HEATHERGEMS CABOCHON IS SAFELY BEZEL SET. C STYLE CLASP. Display box and cushion not included. CZECH FILIGREE IN A LOVELY FRILLED & LACY STYLE FORMS THE CENTER LAYER OVER BRIGHT SPARKLING CLAW-SET AMBER RHINESTONES BELOW, FURTHER AMBER RHINESTONES ARE ALSO CLAW-SET TO THE FILIGREE AT THE TOP. VERY ORNATE & DETAILED.TOTALLY GORGEOUS. 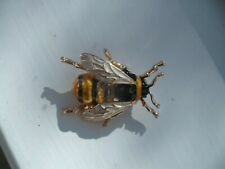 It is in goldtone with pierced detailing and with green crystal eyes. Date 1980s. Signed Unsigned. ROLL OVER CLASP IN GOOD CONDITION. Display box and cushion not included. PERIOD/STYLE:SCOTTISH CELTIC. MAKE: SIGNED TO THE REAR WITH "MIRACLE". A BEAUTIFUL ITEM THAT WOULD LOOK STUNNING ON ANY OCCASION, TO ADD TO A COLLECTION OR GIVE TO THAT SPECIAL PERSON AS A GIFT. DISPLAY BOX: NOT INCLUDED. PERIOD/STYLE:ART DECO STYLE. MAKE:UNSIGNED BUT IN A ART DECO STYLE. DISPLAY BOX: NOT INCLUDED. Signed A2071 which is a Sphinx design number. Condition Report Good - in nice clean condition with no missing stones and light wear.There is very minor wear to the goldtone in a couple of places. Date 1960s. MAKE:STAMPED STERLING AND DENMARK - IN AN ARNE JOHANSEN STYLE. MATERIAL:STERLING SILVER WITH AN OVERALL WEIGHT OF 14.445gms. A BEAUTIFUL ITEM THAT WOULD LOOK STUNNING ON ANY OCCASION, TO ADD TO A COLLECTION OR GIVE TO THAT SPECIAL PERSON AS A GIFT. PERIOD/STYLE:SCOTTISH / CELTIC / NORSE. A BEAUTIFUL ITEM THAT WOULD LOOK STUNNING ON ANY OCCASION, TO ADD TO A COLLECTION OR GIVE TO THAT SPECIAL PERSON AS A GIFT. DISPLAY BOX: NOT INCLUDED. 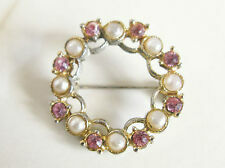 Vintage, Colourful, Real Opal Triplet/Doublet, Gold-tone Brooch - Age Unknown. Whilst the triplet is in excellent condition, the plating on the brooch has signs of wear and is nicked on one side, therefore overall condition can only be described as fair, finally the pin fastens securely via a rollover clasp. The ones on the body could be. However it has the right effect and it is a beautiful stylish peacock on branch brooch. 60mm X 30mm approx. Rollover catch. Stamped on the back with the sign for Fish & Crown;. 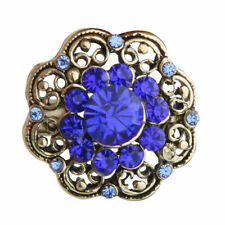 Vintage Pretty Sapphire Glass Brooch/Pin with safety chain. All boxes or stands are not included in the sale. OT TO WEAR TO ADD EXTRA GLAMOUR TO ANY OUTFIT. Lot of three vintage brooches, one with real australian opal. Lot of 3 old brooches, 1 is black and white stone, 1 pink pearlised and pink stone and 1 with a real green autralian opal stone. It is possible that there should have been a coloured stone for the eye, but it doesn't seem the worse for not having one. The pretty floral design is a bunch of Calla Lily. Nice piece, in excellent condition. Good Size Approx 4.5cm x 7cm. It is in beautiful clean unused condition. Condition Report Good - in nice clean condition with no missing stones and light wear.There is a little crack to the goldtone at the top. Date 1980s. A very striking Scottish Celtic cloak shield round brooch. Polished stones in various colours set in silver tone surround. Have not tried cleaning. Carefully wrapped. VINTAGE JEWELLERY GORGEOUS MIXED JOB LOT OF BROOCHES GLASS BEADS VARIOUS ERAS. 3 vintage 1970s new circular hand carved mother of pearl brooches.